The 888 Casino App Android features a wide range of mobile casino games which includes: Roulette, Blackjack and Mobile Slots. Practice your Mobile Blackjack skills with two varieties of the game available: Classic Blackjack & American Blackjack. 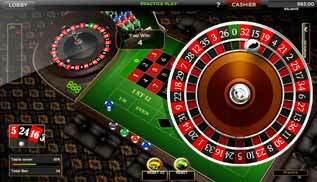 Place your bets and win on the Mobile Roulette tables, games on offer include : European Roulette, French Roulette & American Roulette. Try your luck at Mobile Slots and win huge jackpots, bonus rounds and free spins. 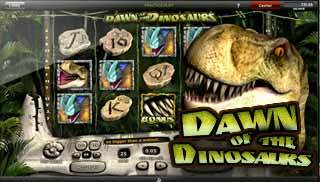 There are currently three Mobile Slots all of which feature superb graphics and sounds – Dawn of The Dinosaurs, Casino Reels & Cafe de Paris. 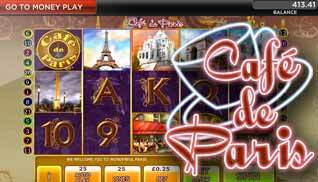 The 888 Casino App is available for Android Tablets or iPad (UK only). 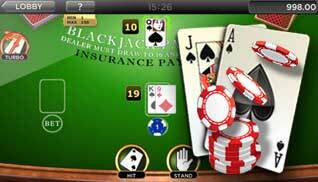 888 offer the best apps for casino and poker and are proving to be the leaders in mobile gambling technology. Play free mobile casino games in ‘Practice Mode’ or make a minimum deposit of at least $10 to play real money casino games for Android. Download the 888Casino App. Get the popular 888 Poker App Android for Texas Holdem Poker games. Languages: The 888 Casino Android App is currently only available in English, with more languages will be added soon. Play these awesome free mobile casino games on the 888 Casino App Android. European Roulette, French Roulette & American Roulette. 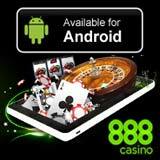 Download 888Casino App for Android tablets and install. Click on the 888 Casino icon to run the app. Adobe Flash Platform run times/ Adobe AIR 3. ARMv7 processor with vector FPU, 550MHz or greater, OpenGL ES 2.0, H.264 and AAC HW decoders. Operating System Android versions 2.2, 2.3, 3.0, 3.1, 3.2, 4.0 or higher. Android device with web browser.